For two beautiful weeks I was caught up on blogging…. two beautiful weeks. As the end of the year looms, I hope to get the last two posts completed before we say goodbye to 2015. We shall see if I succeed! The first week of September was quiet, which I appreciated after the hectic summer. 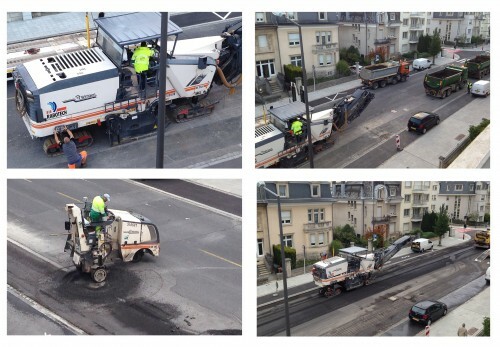 My plan to relax and get caught up on some housework the first weekend were thwarted by a most-excellent interruption – the repaving of our street! After over a year of heavy construction the project was completed and it was time for fresh and smooth pavement. 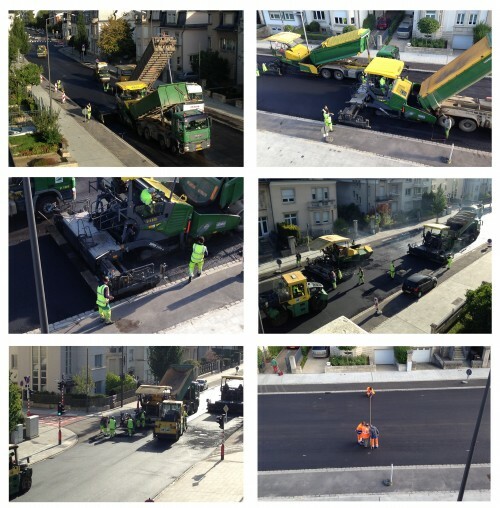 I spent hours on the front balcony, watching the pavement “chewers” and then the asphalt-laying on the second day. I had so much fun watching everything from our 4th floor balcony. It was like the best box seat at the big event. Hours of enjoyment for all! There were big chewers and little chewers and workers all over! Paving day was the best! I had to wake Will up early so we didn’t miss any of the action! We did stop paying attention to the street on Saturday night so we could celebrate the birthday of a good friend at a winery in Germany. I only bought 6 bottles of wine, demonstrating my ability to control my wine-buying habit. The second weekend was commitment-free. It gave us a chance to rest and do a bit of mountain biking to prepare for a randonnée on 20 September with our friend D. D is an avid biker and in superior fitness, so we were not sure how the day would go. Sunday dawned cool and a bit foggy but Will and I were prepared with our comfortable kit and the our adventurous spirit. First, the course was tough. D did a great job of guiding us as best as he could but some of the climbs were just too much for me physically. Second, Will was struggling with his tummy and he did not feel strong. While the course was beautiful and we were happy to be out, overall it seemed like the day was a bit ambitious for both of us. Thankfully, D did not mind at all and was very supportive of our efforts. After we finished the short-course, we went back to D’s house for lunch with his wife and a relaxing afternoon on the terrace. The fourth week in September I had a quick day trip to Brussels. Will was kind enough to tag along and keep me company, plus help with the driving. While I am always happy to see my colleagues, the one-day trips make for a tiring week. The next weekend we were able to relax, plus attempt another mountain biking randonnée. This time we selected the “family” course, which was advertised as ideal for beginners and children. Boy-howdy! What the organizers consider ideal for beginners and what I consider a beginner course are two very different things. The course had a few killer hills, a few very technical sections, and stairs. Yes, I said stairs. There was a section where you were expected to ride down some stairs. Needless to say, I walked my bike down that section. Thankfully, overall the course was difficult but not impossible. At the end, I felt like I was challenged and that I had improved my skills a bit. All in all, it was a great way to spend a Sunday. And then September was in the books and I looked towards October. The first weekend in October was full of fun. Friday night we went to a happy-hour in the city hosted by the women’s club. Not only did we see a lot of friends, but I was also able to have a last-minute girls dinner with Dexter’s owner at one of my favorite restaurants. A so-so evening turned into a real treat! 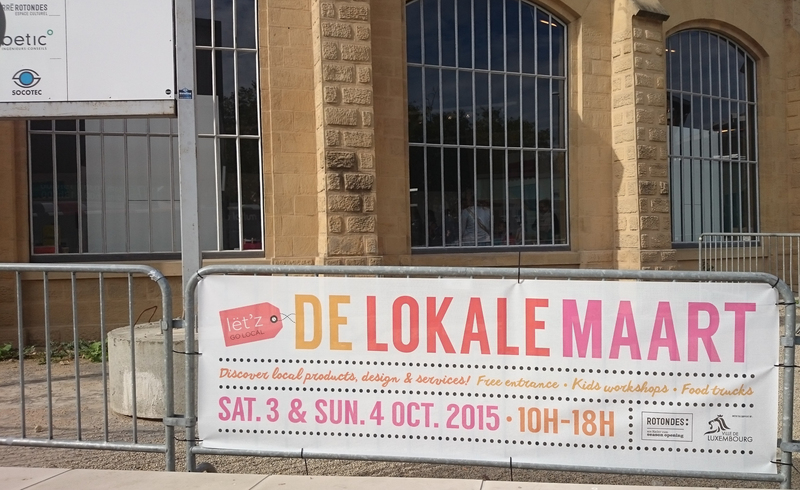 Saturday we visited the new Rotonde facility for the “Lët’z go local” market. We did a bit of Christmas shopping but mostly we enjoyed seeing the rehabilitated area. In the afternoon we took a historical tour of the U.S. Embassy followed by dinner with friends. Sunday continued the fun with Will helping a friend with some household moving and both of us going to a play in the evening. The second week of October I had a two-day trip to Paris for work. Due to the meeting and train schedules, I was able to enjoy a few hours wandering around Paris, which made me so happy. The weather was beautiful and I was able to coordinate a meal at Chipotle. 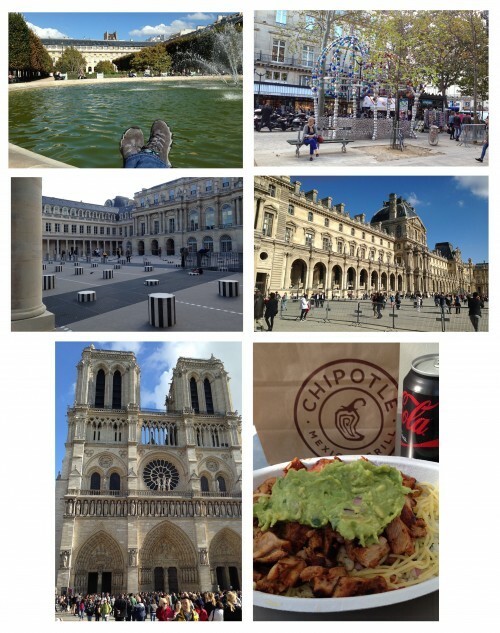 I cannot lie — I try to eat at Chipotle each time I am in Paris. So far I am batting a thousand and I cannot see a reason to stop! 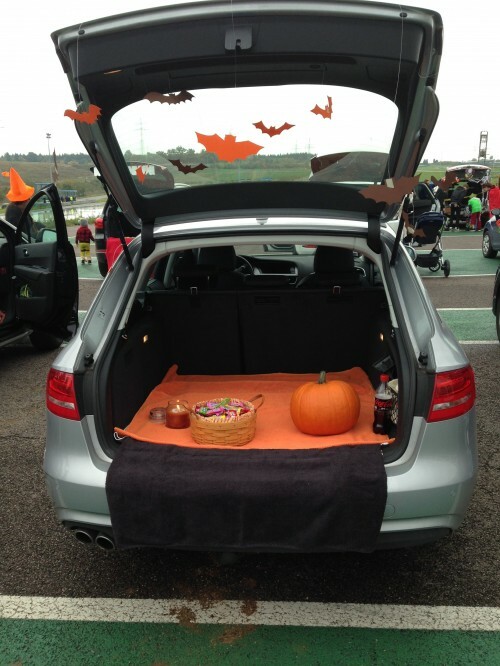 The American Women’s Club of Luxembourg (AWCL) hosted a “Trunk-or-Treat!” for the kids to celebrate Halloween. 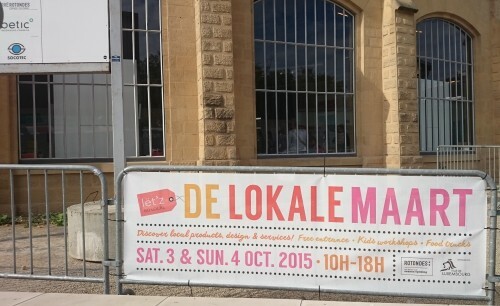 Luxembourg does not celebrate Halloween, so this was a way for the kids to get a bit of America while living here. Will and I volunteered to be a trunk, passing out candy and admiring the costumes. Our trunk was not the most fancy but we did our best to capture the spirit of the season. My bats are saved for the event next year and I may even try to come up with a few other ideas. I also squeezed in a short work trip to England. While the travel was long and boring, it did allow me to stock up on my favorite gummy candies for me and some friends in the U.S. The rest of October was spent preparing for our November trip to the U.S. We had shopping to do, gifts to organize, and lists to prepare. We managed a few days relaxation but overall we were focused on all that needed to be done before 10 November…. the day we flew to Chicago! For your enjoyment, some random photos from the phone. My apologies for the large size of the photos. I decided the work to resize them would mean this post would be delayed even longer. One Friday night in September I talked Will into dinner at one of our favorite local places, Café Cents. 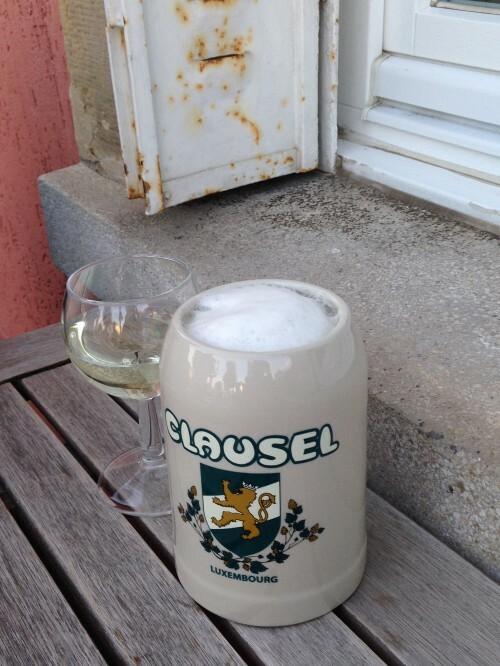 It was one of the last nice nights for dining outside and we took complete advantage of the excellent weather… and the excellent local beer and wine. 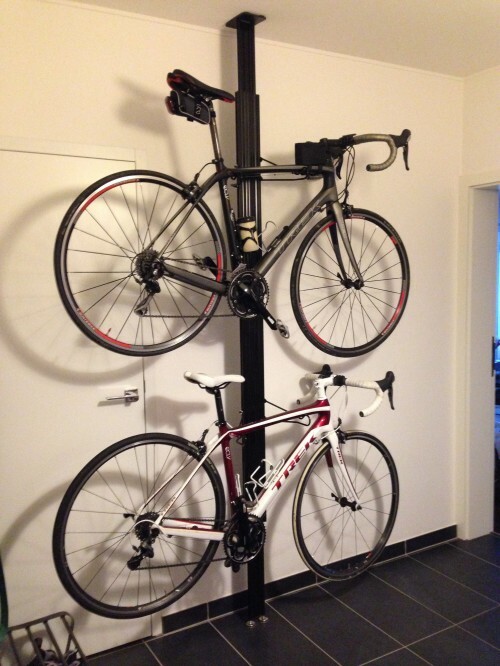 Finally, after two years, we gave up and just started decorating with bicycles. All in all, our foyer is tidier and they do make for a great conversation piece when guests arrive. In an attempt to increase my steps each day, I tried walking at lunch time. The clouds were frightening, but beautiful. My favorite flower vendor has some amazing roses this fall. I just fell completely in love with this batch. 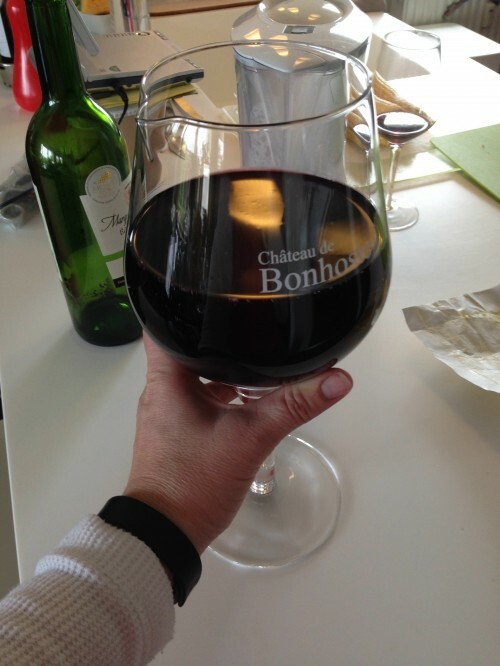 Tired of constantly getting up to refill my glass, I finally got a “right-sized” one. I kid! This is a decanter that my favorite winery gave me as a gift when we visited in June. Enjoyed this blog totally! 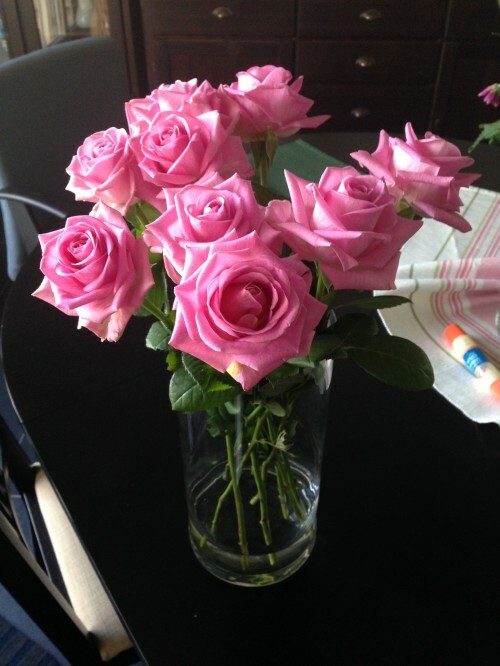 Loved the pink roses too! 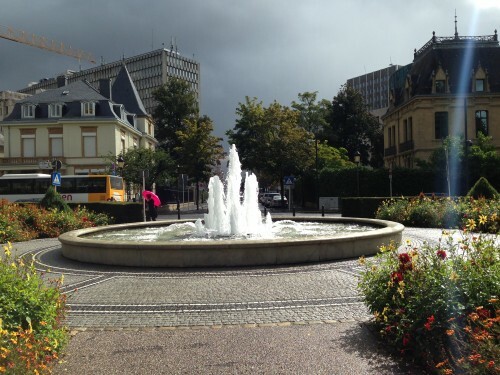 And Paris looked so inviting….so glad you had a few hours to relax and soak it in!